Q&A: Why Ten Words on Two Tablets? Why are the Ten Commandments written on two tablets? Was one tablet not big enough for God’s handwriting? Or did God give Moses two copies of the Law, one tablet being a duplicate of the other? 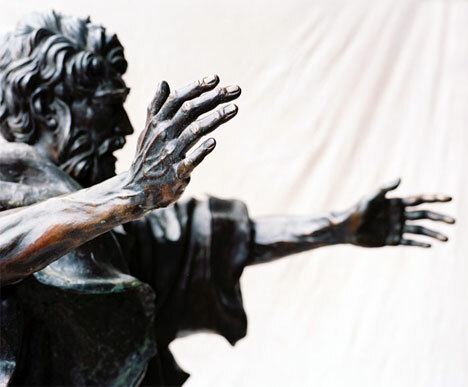 Q&A: Did John the Baptist Doubt Jesus? How does Peter see the apocalyptic imagery of Joel in the events of Acts 2? The first step is to take note of the context of Joel’s prophecy. It is the coming destruction of Jerusalem in 586 BC. Even if we identify the context, it may sound to us as if Joel is still looking forward to the first century events at the end of his predictions. The unfortunate chapter break between 2 and 3 stops us reading further, but if we keep reading without a break, the beginning of chapter 3 makes it clear that Joel is still speaking about the restoration from exile. God would judge all the Canaanite nations, including Israel, who had behaved like a Canaanite. But only Israel would resurface from the “flood” of Babylonian control, while all the Canaanite powers remained scattered forever. And Israel would be vindicated across the world, from India to Ethiopia, in the events of the book of Esther (predicted in Ezekiel 38-39). This means that the particular “day of judgment” had already passed by the time Peter quoted the prophet, so he is not quoting the prophecy to announce its soon fulfillment. He is, however, announcing a similar destruction of Jerusalem and its Temple, with all that this entails. Were the Nephilim in Genesis 6 angels or aliens? The Nephilim (“great” or “amazing”) were the first “mighty men” of the Bible. They were the result of the intermarriage between the priestly sons of Seth and the rebellious Cainite kings. The text gives us a split genealogy after the murder of Abel, priests serving God outside the garden, and Cain’s false kingdom (Cain went and built a “fortress” to protect himself). So, humanity was divided into two camps: those who served God as their king and those who rebelled against Him.